It’s interesting how a catchy nickname and a strong hit of nostalgia can override conventional wisdom. While basketball fans spend this week and the next (and the next) debating the crunch-time credentials of multi-time NBA champion LeBron James compared to past and present greats, the legacy of one Jerry West will go quietly unchallenged despite the Hall of Fame guard’s 1-8 career record in the NBA Finals. Why? Because a long time ago, West was given the nickname “Mr. Clutch” and it stuck, enduring big-stage loss after big-stage loss. So while LeBron will probably never get the universal “clutch” stamp of approval until he wins five or six NBA titles, West is forever synonymous with being clutch despite hard evidence that suggests otherwise. In boxing, Muhammad Ali is considered by many to be the greatest fighter of all time. Not entirely because he won the world heavyweight championship three times; not entirely because he beat George Foreman, Joe Frazier, Sonny Liston and Archie Moore; not entirely because he transcended sport and became a cultural icon by challenging the United States government and refusing to fight in the Vietnam War. To a lot of fans and media — especially those too young to have watched Ali in his prime — Ali is the greatest mainly because he owns the nickname “The Greatest.” It is a moniker with so much weight, it overshadows Ali’s five professional losses, the fact that he didn’t score one knockout in the final five years of his career, and his less-than-stellar performances in wins against less-than-stellar opponents like George Chuvalo, Doug Jones and Duke Sabedong. When enough years have passed, nostalgia allows us to forget and/or forgive the flaws in an athlete that we nit-pick so much when they’re active. Throw in a nickname like “The Greatest” or “Mr. Clutch,” and an incredible athlete becomes immortalized in nothing but their best light. This is not to slight Muhammad Ali or Jerry West. It is only to point out that sometimes we lose the whole truth to a compelling story that isn’t 100 percent accurate. In reality, there are plenty of legitimate arguments to deny Ali’s status as the greatest boxer in history. You’d have an easier time arguing for Ali as the greatest heavyweight of all time. Or if you need a truly indisputable claim, there’s this: Muhammad Ali is definitely the greatest Muslim boxer of all time. The list of notable Muslim boxers past and present is diverse in nationalities, sizes and fighting styles, with Ali sitting comfortably at the top. Below him are the likes of Naseem Hamed, the British Yemeni featherweight whose wild and flamboyant offense earned him a spot in the International Boxing Hall of Fame’s Class of 2015. There is Mustafa Hamsho, the Syrian middleweight whose skill couldn’t quite measure up to his guts in a pair of TKO losses to “Marvelous” Marvin Hagler. There is the American trio of Eddie Mustafa Muhammad, Dwight Muhammad Qawi and Matthew Saad Muhammad, who each won light-heavyweight world titles in the late-1970s and early-1980s. And of course Mike Tyson converted to Islam while serving a prison sentence in the early-1990s. Imagine if Michael Jordan’s brief break from the NBA to play professional baseball wasn’t a year-and-a-half hiatus but a 15-year experience that MJ turned into a real-deal championship career in the major leagues. 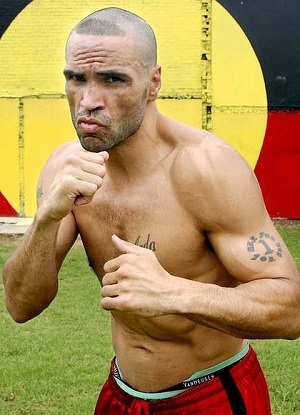 Mundine was not considered the G.O.A.T. in pro rugby, but in 2000 — one year after he’d converted to Islam — he was reportedly the highest-paid player in Australia’s National Rugby League when he decided to walk away from the game and pursue pro boxing. Since then, Mundine has won the WBA Super Middleweight title two times, plus a host of international and regional alphabet organization belts. Along the way he has defeated former world champions Shane Mosley, Daniel Geale, Danny Green, Sam Soliman, Lester Ellis, Rick Thornberry and Bronco McKart. After going 2-2 in his previous four fights, Mundine looked sharp while beating previously undefeated European champion Sergey Rabchenko on November 12, 2014. But at 40 years old, his best days in the ring are clearly behind him. Following a decorated amateur career, Aydin turned pro in 2006 and won his first 23 fights in Europe before making his United States debut — and getting his first world title shot — against Robert Guerrero for the WBC Welterweight championship in 2012. Aydin lost a unanimous decision to Guerrero, then dropped his next fight in the U.S. before heading back to Europe. Aydin has fought three times in the U.S., and has lost each time, the only losses of his pro career. Nicknamed “The Turkish Warrior,” Aydin was born and raised in Turkey but currently resides in Germany. At 31 years old, he’s working his way back up the welterweight ranks in hopes of getting another title shot. In a sport rooted in personal stories of overcoming adversity, Shumenov’s journey is a unique roller-coaster. The son of a government accountant in Kazakhstan, Shumenov wasn’t born into poverty. But then his family almost lost everything when the old Soviet Union disbanded in the early 1990s, forcing them into poverty until his parents recovered to start their own business and eventually become one of the richest families in Kazakhstan. There’s more. When Beibut was a small child, an incident in which he was accidentally fed spoiled milk nearly ended his life. While he survived thanks in part to an IV being put in his skull, doctors said Beibut would have health problems throughout his life, would always be small for his age, and advised that he avoid potentially rough physical activity. So of course Shumenov grew up to stand 6-foot-2, and even though he has a law degree, decided to go into boxing, where he incorporates various martial arts into his training and strategy. Shumenov boxed in the 2004 Olympics, and after turning pro was given a world title shot in just his ninth fight. He lost a majority decision to Gabriel Campillo for the WBA Light Heavyweight belt, but Shumenov won a rematch by split decision five months later. Shumenov defended the WBA title five times before facing future Hall of Famer Bernard Hopkins on April 19, 2014. In a rare big-time boxing main event featuring two Muslim fighters, Shumenov lost to the old ring general in a split decision that most viewers didn’t think was close at all. After the Hopkins loss, Shumenov moved up to cruiserweight, where he’ll get a title shot against WBA champion B.J. Flores on June 20. Clottey is a skilled and sometimes exciting fighter, but on the biggest night of his career he decided to imitate a turtle and produced a performance so boring he may have permanently killed his appeal as a main-event attraction. Back on March 13, 2010, Clottey was 35-3 with one world title on his resume when he stepped into the ring with superstar Manny Pacquiao. (Clottey was a replacement for Mayweather after talks between Pacquiao’s and Mayweather’s camps had broken down.) In front of a crowd of more than 50,000 at massive Dallas Cowboys Stadium, Clottey was overwhelmed by Pacquiao’s famously furious attack. Clottey spent most of the 12 rounds with his gloves covering his face and his arms shielding his body while Pacquiao threw punches nonstop. He wasn’t knocked out or knocked down, but Clottey was almost shut out on the judges’ scorecards. That night could’ve been a launching pad into stardom for Clottey, who before Pacquiao had fought Miguel Cotto, Zab Judah, Antonio Margarito and Diego Corrales. Since the Pacquiao fight, the 37-year-old from Ghana has been in the ring only four times — including a unanimous decision over Mundine in 2014 — but he was impressive in a May 9 win over Jorge Silva on the Canelo Alvarez-James Kirkland undercard that may vault Clottey back into the title picture. After a loss that many observers called a robbery, Sturm returned to Germany and hasn’t fought outside of his home country since. He won the WBA Middleweight title in 2006, lost it and then won it back the following year, embarking on a five-year reign that included 12 successful defenses. Sturm won the IBF Middleweight title in 2013 with a second-round TKO of Darren Baker, but that was the last time he had his hand raised as a victor. Since then he’s had two losses and one draw. At 36 years old, Sturm is on the downside of his career. The 26-year-old from Brooklyn, N.Y., is one of the sport’s fastest rising stars. Ali put himself on the mainstream map with a first-round knockout of Michael Clark on the Hopkins-Shumenov undercard in April 2014, and seven months later stopped Luis Abregu in nine rounds on the undercard of Hopkins’ fight against Sergey Kovalev. On April 25 of this year, in his Madison Square Garden debut, Ali beat Francisco Santana by unanimous decision on the undercard of Wladimir Klitschko’s heavyweight title defense against Bryant Jennings. Except for once in Poland, Ali has not had a fight beyond the East Coast of the U.S. He may not be physically living up to his nickname “World Kid,” but his reputation is traveling at a good speed around the planet. All it takes is one big punch from one big man to turn the entire heavyweight division upside down. But for the time being, it doesn’t look like any major moves will be made until Wladimir Klitschko decides to retire. The good news for the rest of the division? Klitschko is 39 years old and can’t have more than a few fights left in him. One of the men waiting in the wings is Chagaev, the Russian southpaw who holds the WBA heavyweight title — one of the few pieces of gold Klitschko isn’t hoarding for himself. The bad news for Chagaev is that he’s 36 years old, not much younger than Klitschko, so his window of opportunity to climb the heavyweight ladder is closing as well. A world champion as an amateur, Chagaev was the undefeated WBA heavyweight champion when he faced Klitschko in 2009. Klitschko’s titles were on the line; Chagaev’s were not. Klitschko won via 9th-round TKO. And in another one of those complicated business-of-boxing stories, Chagaev was later stripped of his title, then suffered his only other professional loss when he tried unsuccessfully to win it back in 2011 against fellow Russian Alexander Povetkin. In 2014, Chagaev reclaimed the WBA title when he beat Fres Oquendo by majority decision. His first defense is scheduled for June 27 against Francesco Pianeta. Since the cruiserweight division was created in 1979, many of its best fighters have treated the division like a pit stop on their way to heavyweight or light-heavyweight riches. Those who have stayed, have often been overlooked by fight fans and media. Such is the case with Huck, the Serbian-born resident of Germany who has had a vice grip on the WBO Cruiserweight title since 2009, successfully defending it 13 times to tie the division record set by Johnny Nelson. Huck has lost once in that stretch — when he stepped up to challenge Povetkin for a piece of the heavyweight championship. Huck’s next title defense could be the most high-profile fight of his career. 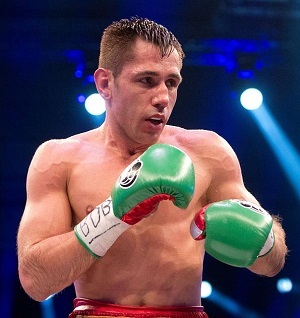 The 30-year-old was scheduled to make his U.S. television debut against mandatory challenger Krzysztof Glowacki on June 12, but that bout has been delayed indefinitely. In the meantime, there has been talk of Huck facing 46-year-old future Hall of Famer Roy Jones Jr.
Two decades past the point when most boxers would be seriously considering retirement, Hopkins is calling it a career. The fighting pride of Philadelphia recently announced he will have his last fight in 2015, at the age of 50. In his wake, Hopkins will leave behind pretty much every “oldest man to” boxing record in the book, world title reigns at middleweight and light heavyweight, a record 20 successful title defenses at middleweight, and victories over superstars such as Oscar De La Hoya, Roy Jones Jr., Felix Trinidad and Antonio Tarver. From the time he claimed a piece of the middleweight championship as a 41-year-old in 2006, every Hopkins fight has been an event celebrating the defiance of what we call “old.” Hopkins has been the star of these shows as the ageless warrior, using his guts and guile to regularly defeat mean who are younger, stronger, faster and supposedly better. Following another record-setting title win over Shumenov in April 2014, Hopkins finally started to look his age in a lopsided November 2014 loss to light-heavyweight monster Sergey Kovalev. After one more fight — date and opponent to be determined — he’ll be retiring for good, but while he’s technically active Hopkins is still one of the best in the business. Khan’s bout against Chris Algieri on May 29 in Brooklyn was billed as an audition to be Mayweather’s next opponent, and Khan held up his end of the equation with a unanimous decision victory. Khan declined an opportunity to fight Mayweather last September because the proposed date was too soon after Ramadan, but he says he’ll be ready to face Mayweather in September 2015. Now it’s up to Mayweather to decide if Khan is the right fight for him. 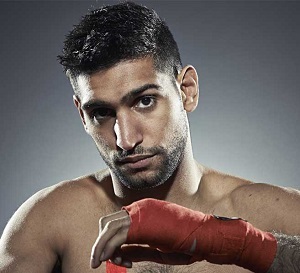 Khan, a 28-year-old British Pakistani, currently holds the WBC Silver Welterweight championship — one of a handful of regional and international alphabet organization titles he’s won in his 10-year pro career that began after he claimed a silver medal at the 2004 Olympics in Athens. At one time Khan was the WBA and IBF Light Welterweight world champion, but he lost both belts via split decision to Lamont Peterson in 2011, and then got knocked out by Danny Garcia with the vacant WBC Light Welterweight title on the line. Since then, Khan has been on a five-match win streak, looking more impressive with each fight. Possessing two of the fastest hands in boxing, plus enough power to earn KO victories over the likes of Zab Judah, Paulie Malignaggi and Carlos Molina, Khan is one of the few fighters at or near Mayweather’s weight class that could theoretically give Mayweather problems in the ring.